A shtreimel (Yiddish: שטרײַמל, pl. שטרײַמלעך shtreimlech) is a fur hat worn by many married ultra-Orthodox Jewish men, particularly (although not exclusively) members of Hasidic groups, on Shabbat and Jewish holidays and other festive occasions. 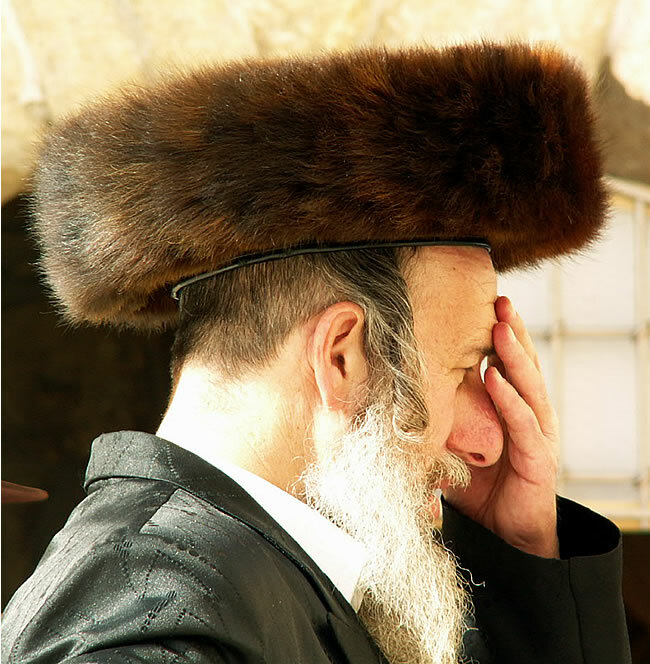 In Jerusalem, the shtreimel is also worn by ‘Yerushalmi’ Jews (non-Hasidim who belong to the original Ashkenazi community of Jerusalem, also known asPerushim). The shtreimel is generally worn only after marriage, except in many Yerushalmi communities, where boys wear it from theirbar mitzvah. In the dynasties of Chabad-Lubavitch and Karlin-Stolin, the shtreimel was reserved for the Rebbe only.